The 3rd NITI Aayog-DRC Dialogue was held at DRC on December 5. 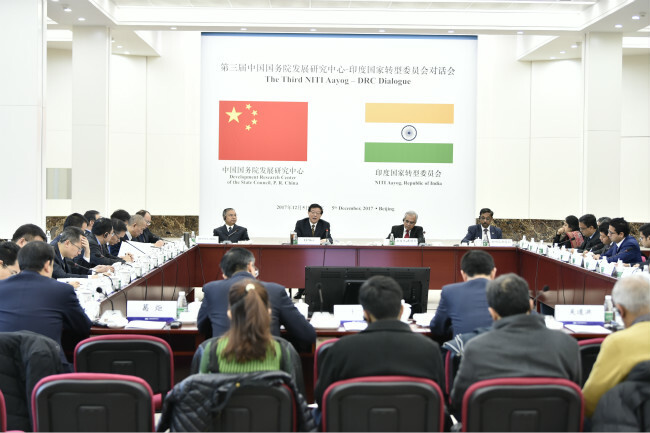 The conference focused on "The Global Economic Situation and Sino-Indian Economic Cooperation" and "Theory and Practice of Sustainable Development". 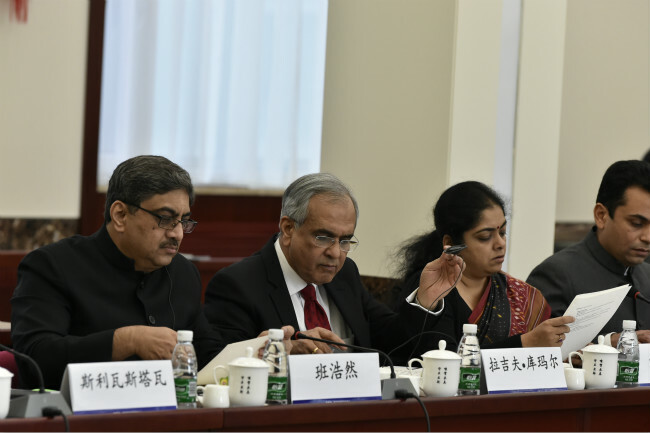 In the morning, the conference focused on the global and Sino-Indian economic situation and discussed issues such as world trade, global economic growth and governance as well as the status quo, challenges and policy options for Sino-Indian economic cooperation. In the afternoon, the conference revolved around topics related to sustainable development, including theories and practice in both countries in clean energy, power transportation, higher education and special economic area development. 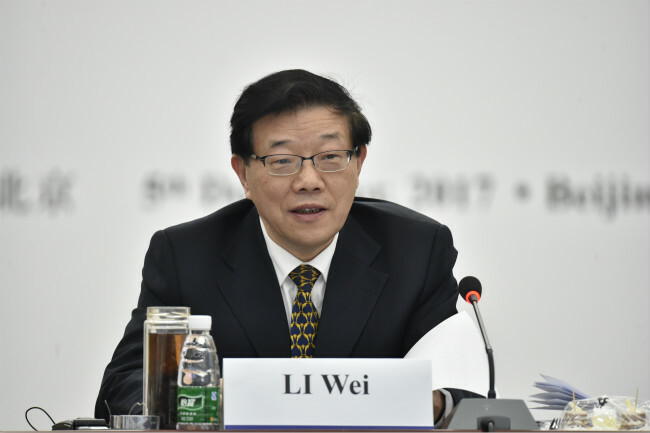 DRC President Li Wei made a speech at the opening ceremony, which was chaired by Vice-President Zhang Laiming. Yu Bin, director of the general office, made a summary of the meeting. Dr. Rajiv Kumar, Vice-Chairperson of the National Transformation Committee of India, led a delegation to the conference. Gautam Bambawale, Indian ambassador to China, was also in attendance. Chen Changsheng, Director-General of the Macroeconomic Research Department of DRC, Zhao Jinping, Director-General of the Foreign Economic Relations Department, Gao Shih-ting, Director-General of the Research Institute of Resources and Environment Policies Department, and Gong Sen, Executive Vice-Director of the Center for International Knowledge on Development, all gave speeches to the more than 70 delegates from research institutions, governments, business field and media. After the meeting, the heads of the two institutions duly signed its minutes. On the afternoon of December 5, Vice-Premier Zhang Gaoli met with Kumar, in Ziguang Pavilion, Zhongnanhai, where they exchanged views on bilateral relations, economic and trade relations between China and India and cooperation between think tanks.